The most important annual festival in Chile celebrates Independence Day on 18th September, which is also a great time to join the crowd at a rodeo. Attending a Chilean rodeo is a wonderful opportunity to see the locals enjoying themselves and to witness some very fine horsemanship, which is what the Chilean rodeo is all about. 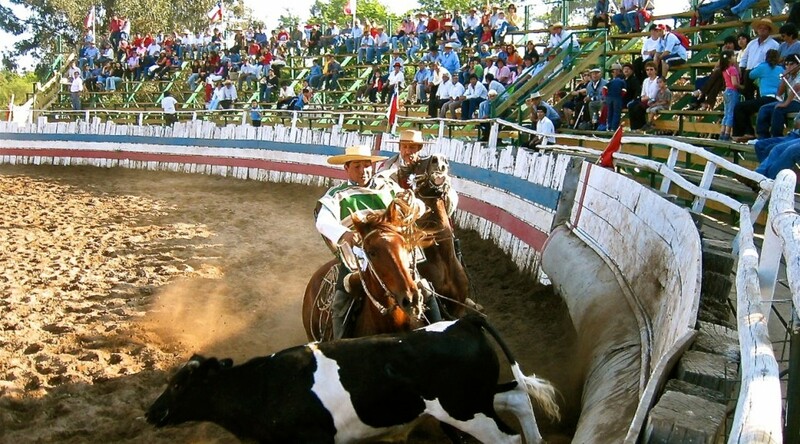 The championship goes in several cycles, during which pairs of riders attempt to corral a steer around the ring, with the key objective of bringing him to an absolute standstill at a specific point in the ring. A novice at these events may struggle to see the point, but the important thing to remember is that it is utterly against any horse’s instinct to stop a cow dead with his chest! Years of training and an intimate relationship between horse and rider are required before this kind of manoevre can succeed, and therein lies the skill. Occasionally, a cow is stopped so forcefully that he drops to his knees, or a rider is unseated, but that is about as violent as it gets. The Chilean rodeo is not a blood sport in any way, though it is probably not that good fun for the steers involved, not least because they get very bored of running around in circles and sometimes flatly refuse to move at all! Two famous music festivals occur nearby. The annual folk music and culture festival known as the Festival del Huaso is held each January. And the glitzy Music Festival of Viña del Mar is always held in February, and hosts everyone, from famous Latin singing stars to Rod Stewart! If you happen to be in Chile on 29th June, be sure to spend the day in Valparaíso or coastal Maitencillo to enjoy the colourful ceremonies for the Fiesta de San Pedro, when fishermen honour their patron saint. Festivities usually cover the entire weekend, beginning with traditional Chilean dances called Bailes Chinos and ending with the ocean-going procession of intricately decorated fishing boats in the Bay of Valparaiso. 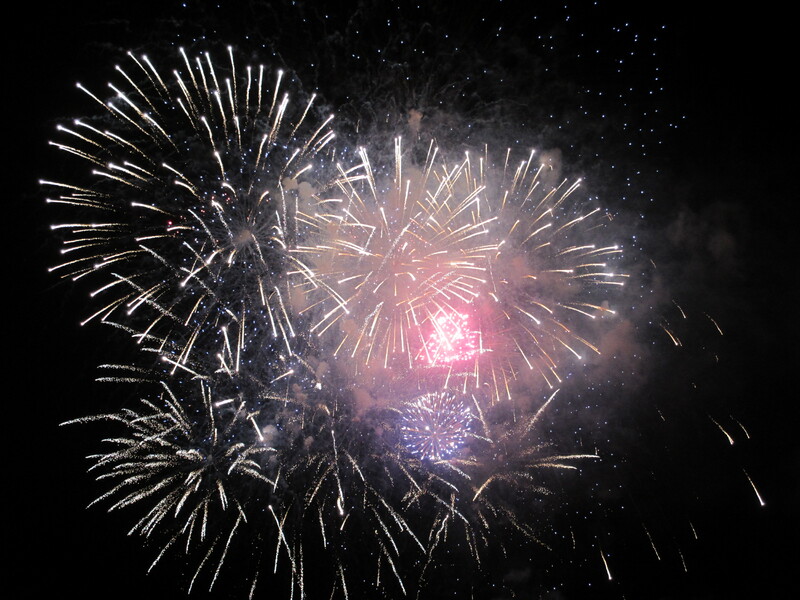 Finally, the New Year’s Eve fireworks that light up the Bay of Valparaíso rank among the world’s great spectacles and should be seen at least once in a lifetime! Natascha Scott-Stokes on No pasa nada! susaan on No pasa nada!